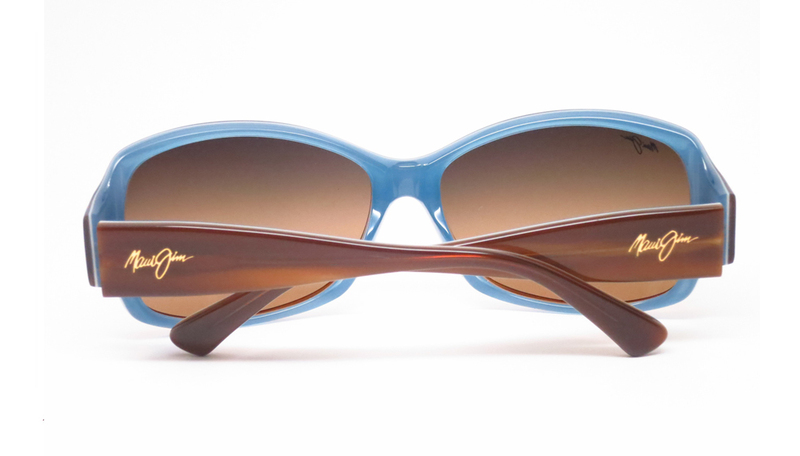 Keep the world in sharp focus while protecting your eyesight from harmful UV rays with a colorful pair of Maui Jim sunglasses. 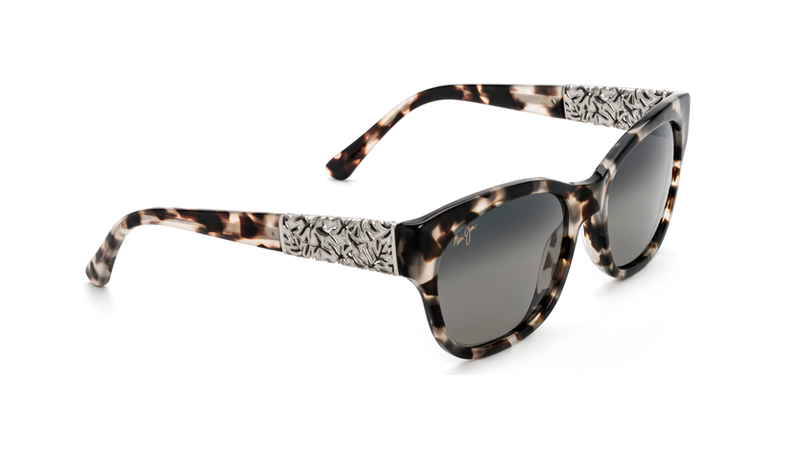 Available in prescription and non-prescription sunglasses. 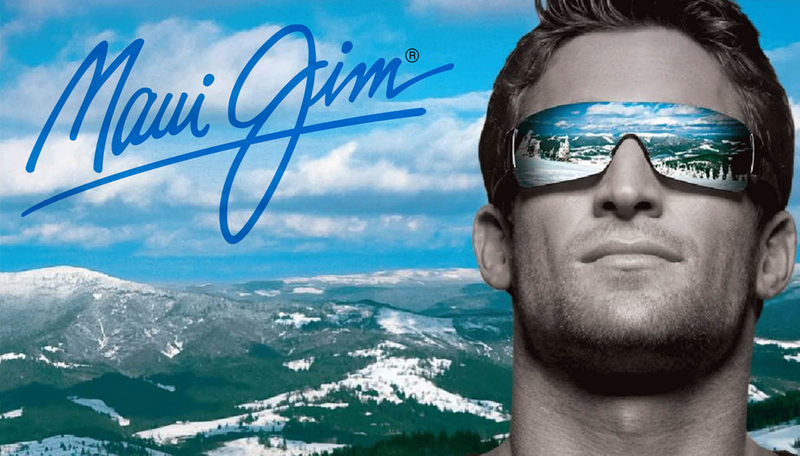 Maui Jim is passionate about sunglasses. 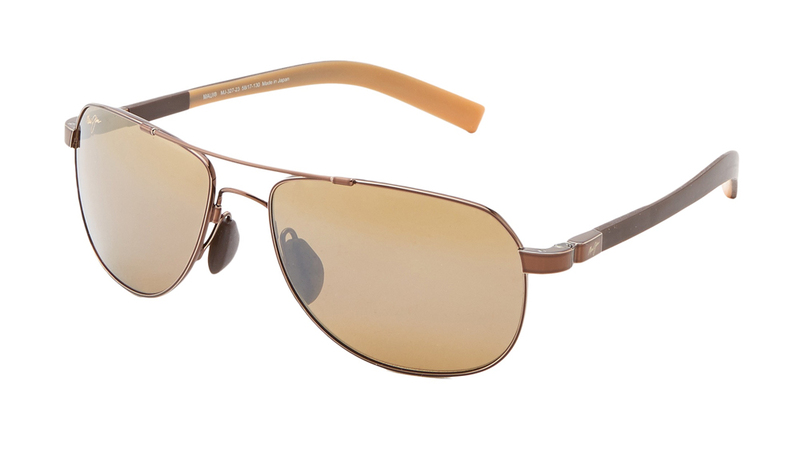 Their philosophy is simple - to create the best sunglasses on the planet so you can see the world at its best. 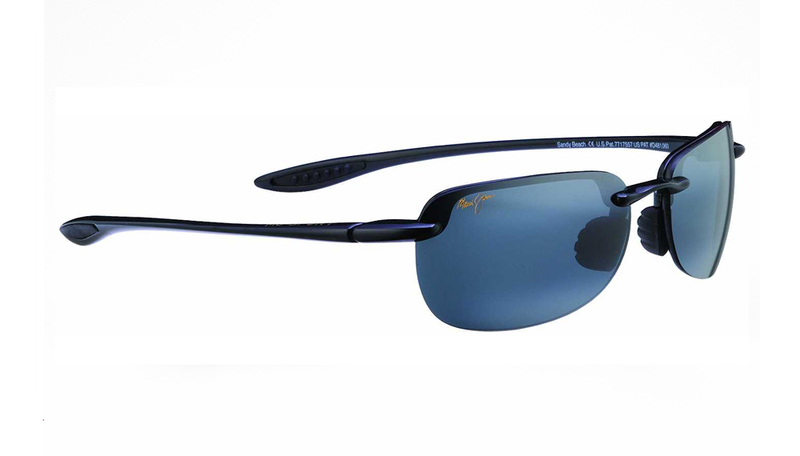 Maui Jim sunglasses provide unrivalled polarization with revolutionary PolarizedPlus2 technology blocking 55% of glare and 100% of UV rays without darkening your downtime views. 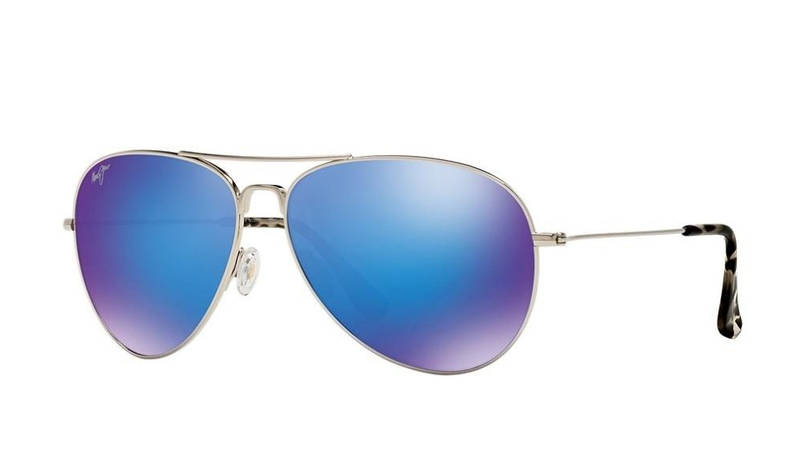 Four lens hues to choose from designed for a variety of activities. 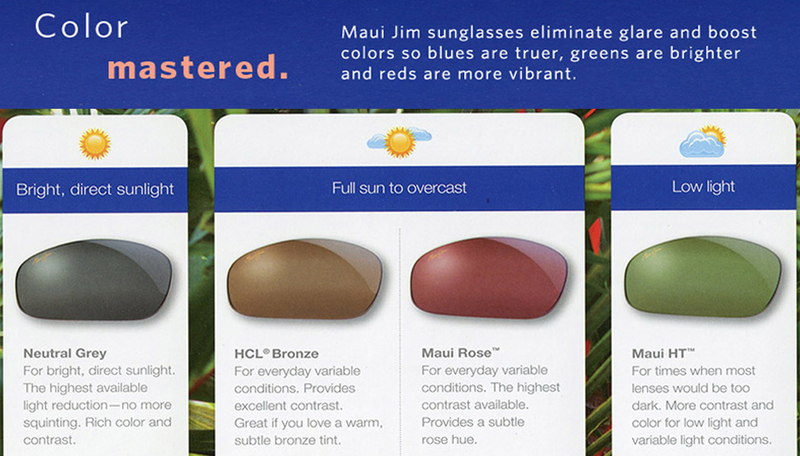 Maui Jim's four lens color options enhance the world's true hues without sacrificing clarity. 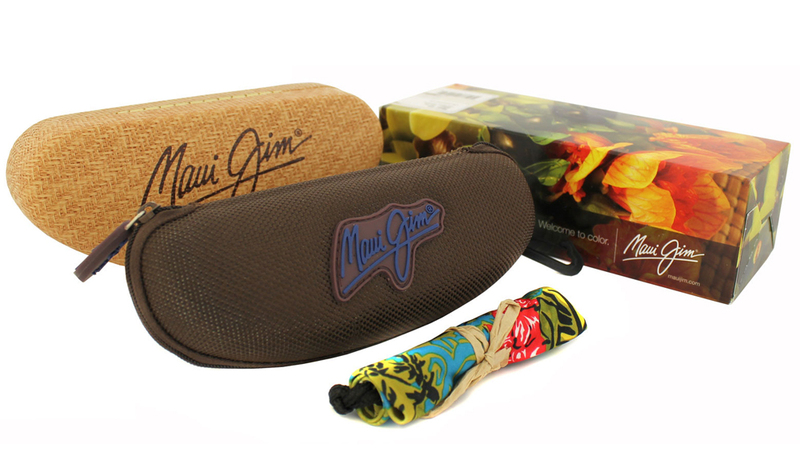 Maui Jim sunglasses feature light weight frame materials, producing a durable sun glasses line cool enough for daily wear. 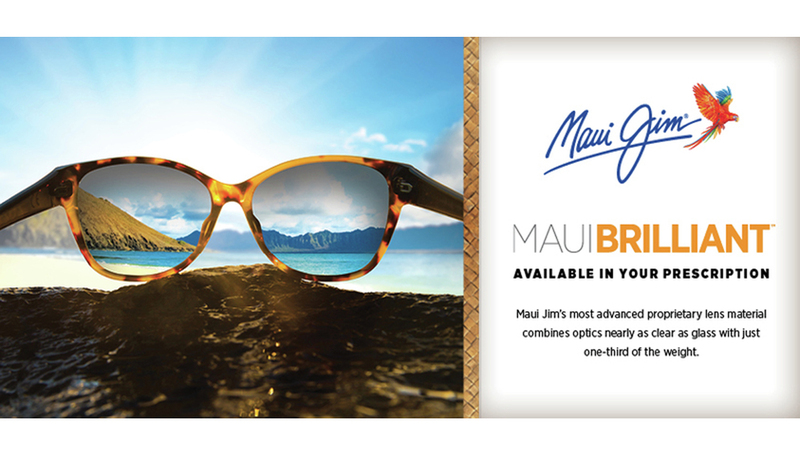 Let the luxury of the Aloha spirit emanate with Maui Jim prescription & non-prescription sunglasses.